Early this month I posted a query: Where in the world should Brett and I go on an annual fall sojourn? Our goal is to stay for three months every spring in Japan to be near our son and his family, but we also want to spend two months every fall slow traveling in another part of the world. 1. 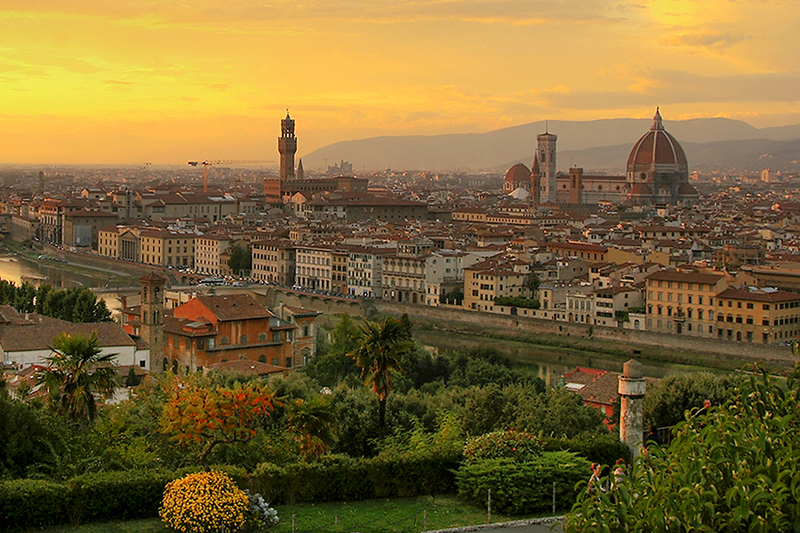 Italy: Placing Italy at the top of our travel list was not as easy as one might think. Brett has been to southern Italy several times (Naples and Sicily) courtesy of the navy, but this would be a first-time visit for me. I was (and still am, to some degree) concerned about spending two months on our own in a country where we do not speak the language, but Brett feels that if we play it safe and initially go somewhere where English is spoken we might never be eager to venture to a place where it isn’t. He believes we need to takes risks earlier rather than later. We still haven’t completely decided on exactly where in Italy to stay as there are so many wonderful areas to explore. We have some ideas, but nothing definite yet. So, there will be lots of reading and research over the next couple of years to help us make a firm decision about where to stay and what to see. The target date for this journey is the fall of 2018. 2. England/Scotland: I have wanted to visit England and Scotland for as long as I can remember – this is where my ancestors come from (and some of Brett’s as well). Again, Brett has visited some of England (Portsmouth and the surrounding area) via the navy, but it will be a first for me. At least for this trip we agree on where to stay: One month in Bath, and one month in St. Andrews. No, we don’t play golf, but St. Andrews is less expensive than Edinburgh, and it’s near enough to be an easy commute to the city for visits and touring. We think we’ll rent a car for the month we’re in Scotland so we can take drives into the Highlands. We’ll fit in a short visit to London when we’re in England, but the city of Bath will be our primary headquarters. It’s a fantastic location all on its own, but also convenient to Wales and other places in the southwestern part of the country that we’d like to experience. 3. New Zealand: A visit to New Zealand was high on both our lists, and we are definitely in a more convenient location for getting there. However, to take advantage of all there is to see and do there may actually require more planning than our first two trips and probably cost us more as well, so we will wait and see how our savings are holding up before we commit to a full two months down under. If we decide to continue our travels after these first three years, then we’ll come up with another list. But we’ve got enough now to get us started and are feeling quite motivated. It’s all very exciting to dream and make plans, but now the real work begins in order to make our dreams and plans come true. Until we leave it’s all about getting the girls off to college, saving, reading and researching, saving, saving, researching and reading, and more saving. We will continue to study Japanese to prepare for our annual stays there, but as we get closer to traveling to Italy we will try to learn a bit of that language as well. Tagged England, English only, Italy, New Zealand, saving for travel, Scotland, speaking the language, taking risks, travel, where should we go? Excellent List! I hope you will see the ruins of Pompei when you go to Italy. A friend of mine visited the excavation/open air museum and she was fascinated by it. Scotland is also on my list. I am planning to take mom with me there. I am just worried about driving on the left side of the road. We almost always rent a car at the airport and explore the places on our own pace. Organized tours are really not our thing. Pompei is on our list of things we definitely want to see when we go to Italy! Scotland is where Brett and I initially planned to go before we changed over to the “Mystery Vacation” next year. We thought about doing a tour, but then realized we are not “tour people,” and like you, like to do things at our own pace. Congratulations on making your list! I have visited Bath twice and LOVE it, great choice! 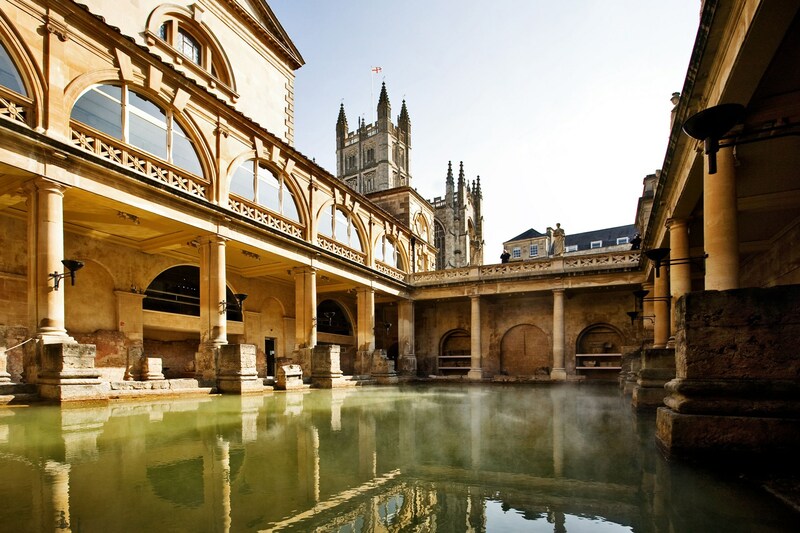 I watched a Rick Steves video about Bath many years ago and it’s been high on my list ever since! After looking at maps and talking about what we want to see, both Brett and I agree that it would be an ideal “home port” for a month’s stay in England. A great list of choices. Italy was my first overseas trip – and I didn’t speak the language beyond phrase book – hello, thank you, please and I am lost! The people were friendly and English is widely spoken there. I’ve been a few times now and while m vocabulary has improved I have never had a problem – in cities, small towns, train stations, etc. You will love it so don’t be intimidated by the language at all. Love that area of the UK but haven’t gotten to spend much time there and my NZ trip is in 2 months! You are going to have a great time – planning and taking the trips!!! I love following along! Several years ago I studied Italian, and hopefully with a little bit of review some of the basics will come back to me. If we were staying in a hotel or such I wouldn’t worry too much, but we will be buying food and other basic needs during our month, managing local transportation, etc. so we’ll need to know some Italian in order to get by. How long will you be in NZ? I would love to know where you go and your impressions! Great Trips. Would really love to see New Zealand. I’m keeping my fingers crossed that we can do a full two months there. Seeing more rather than less of the country may mean we have to rent a car or camper, but we’ll figure it out. I’ve been to Italy and England and enjoyed both. I speak some Italian and knew enough to get by, but I wouldn’t be able to carry on a complicated conversation. Most people I came across spoke English though so it wasn’t a major issue, but I was in major cities. I don’t know how it would be in small towns. I completely agree with Brett that you should get outside of your comfort zone and try a place where you don’t know the language. I felt completely lost in Japan at first because I didn’t know any Japanese (other than how to count to 20!) but it ended up being a really cool experience. Since this trip isn’t happening for a few years, you have time to learn some Italian and once you’re there, you’ll pick up even more because you’ll be immersed in it. Language obviously isn’t an issue in England. I liked London a lot but didn’t care for the weather. I was there in March and it rained almost every day and was damp and cold. It is a very international city where you’ll find people from all over the world. I haven’t been to Scotland. I think New Zealand would be great and I’d love to go there, but it’s just way too far from where I live and too expensive. Looking forward to finding out what trip you decide to take! Italy is #1 on our list! Since we’ve got three years to go, we’ll wait until later next year before we start ordering books and doing other research. My priority now is to learn some basic Japanese, enough to get us around and help us shop and be fairly independent rather than having to ask our son and/or daughter-in-law every time we need to do something. I am reviewing now with Rosetta Stone and so far, so good but it’s getting harder. I can’t believe how much I have forgotten (or never learned in the first place)! Paris and Norway . My hubs chose Paris for his 60th adventure (we get to pick a big vacation on our decade birthdays) and we have a niece who lives in Norway so once we get to Europe we are going there as well. Excited as I haven’t been to Europe since 1991. Love your going on an “adventure” for your decade birthdays! Scandinavia made our “second tier” list of places to visit, so hopefully we will still be healthy and flush enough financially to keep traveling after we accomplish the first three trips. Brett has little desire to see Paris, but WenYu has dreamed of going for years and I’d like to go as well, so she and I may do that trip together some day. These are great places to have grand adventures. You inspire me to dust off my travel wish list. Thanks.